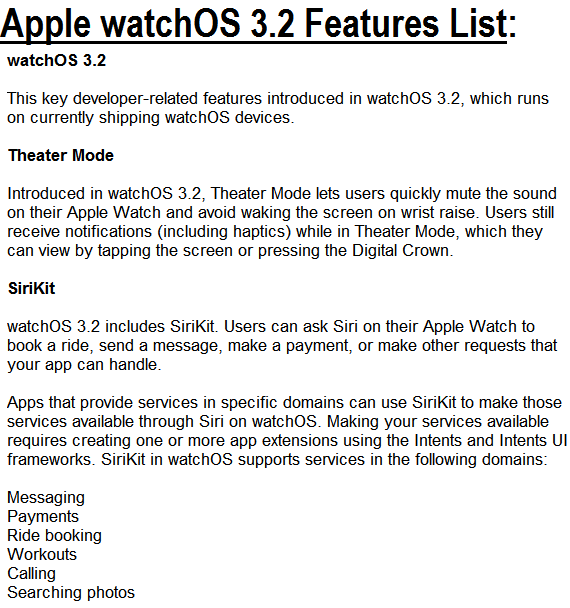 Apple has released the full and final version of iOS 10.3.1 (Build 14E304) for iPhone, iPad, and iPod touch smartphones and tablets, watchOS 3.2 (Build 14V249) for Apple Watch editions, and tvOS 10.2 (Build 14W265) for Apple TV devices officially. The latest iOS 10.3.1 Firmware is instantly available through OTA Update for over-the-air installation and as well as via iTunes manual offline installation. 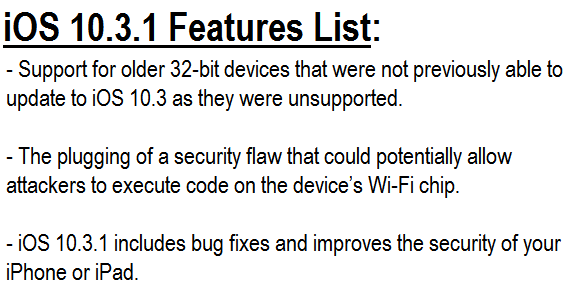 The newest iOS 10.3.1 Firmware contains various new features and functionalities changes for iOS users worldwide. 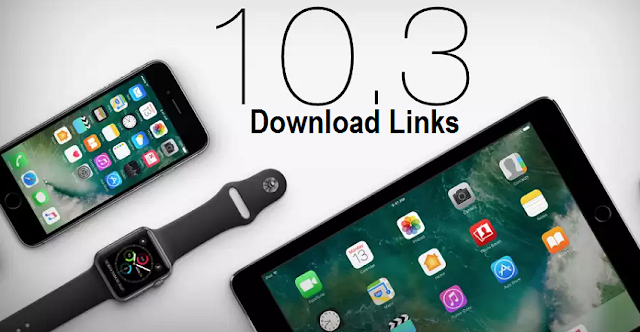 You can Download iOS 10.3.1 .IPSW Files via Direct Links available from Apple's official servers below. What's New in Features of iOS 10.3.1 Firmware? What's New in Features of iOS 10.3 Firmware? 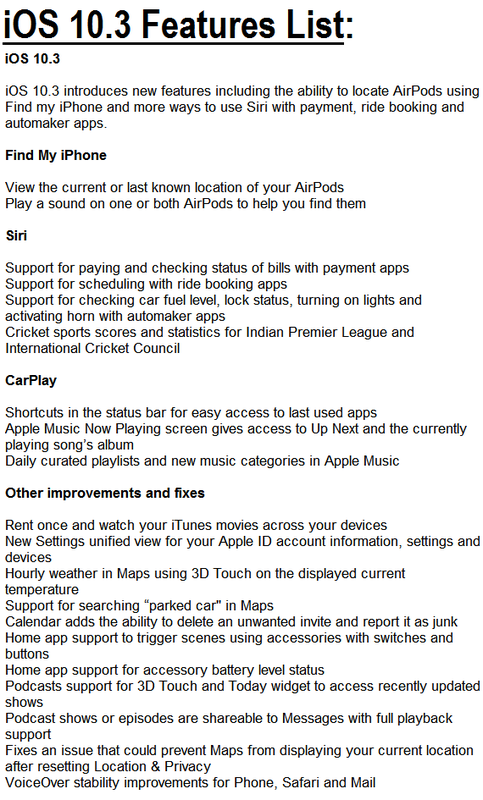 The official iOS 10.3 final version release notes includes several new functions, features, fixes, performance enhancements and improvements etc. which you can read in an image below. How to Manual Install iOS 10.3.1 using iTunes? To instantly receive official iOS 10.3.1 OTA Update, then simply navigate to Settings >> General >> Software Update option, and to do offline iOS 10.3.1 installation manually on your iPhone, iPad, and iPod touch devices via iTunes, then download iOS 10.3.1 ipsw via direct links posted below.